Caffeine in coffee undoubtedly effects our bodies. Some of these effects are desired, but some are not as pleasant. For a few, it may lead to headache, upset stomach, or heartburn. The biggest impact, however, seems to be related to our sleep patterns. Caffeine can keep us up at night. Many people believe that espresso has way more caffeine than regular coffee. With good reason. What else could explain the buzz we get after drinking a shot of espresso? In addition, the taste of an espresso is much more intense than that of a regular coffee. 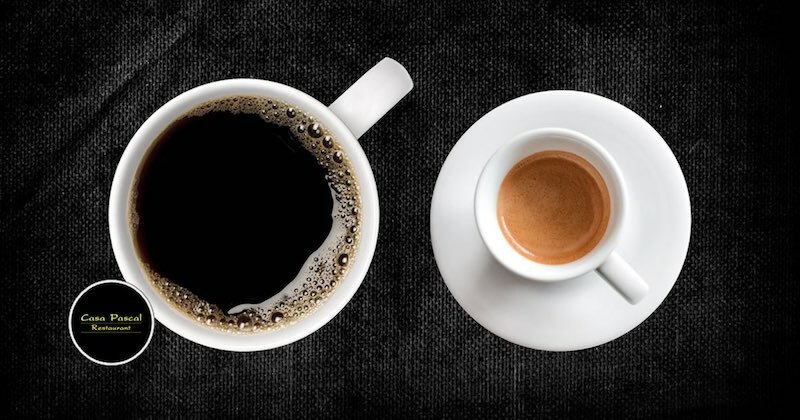 This may seem logical, but is it true that espresso contains more caffeine than coffee? Well, the answer is not a simple yes or no. Without going into all the technical details, there are multiple factors that impact the amount of caffeine in a cup. Coffee type and how finely it has been ground have as much of an impact as does brewing time, water temperature, and roasting level. Lets look at some numbers. A regular cup of coffee contains about 70-120 mg of caffeine. An espresso, on the other hand, is a much smaller serving size and therefore contains only about 40 mg of caffeine. So while the concentration of caffeine per ounce might be slightly higher in an espresso, a regular cup of coffee contains about twice the caffeine due to its much larger serving size. What to do if you don’t want any caffeine at all? 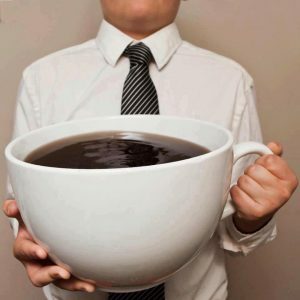 Since caffeine has a tendency to keep us awake, many people don’t touch it after a certain time of the day. This is totally understandable. After all, who likes to stare at the ceiling for hours when lying in bed? Vivalto Lungo is a balanced decaffeinated coffee, that perfectly preserves the complexity of separately roasted South American coffee beans. It is served in a standard cup size. Espresso Arpeggio is a decaffeinated espresso. Dark roasted of pure South and Central American Arabicas, it boasts a strong character with an intense body. Decaffeinated Ristretto is a sophisticated blend of Latin American and East African Arabicas with a touch of Robusta, roasted separately to create the subtle fruity notes of this full bodied intense mini-espresso. So when you desire a flavorful coffee to make your meal at Casa Pascal complete, ask for one of our decaffeinated selections. You will experience a cup of decaf with the flavor of true coffee as well as a good night’s sleep.